White sulphite bond paper spiral bound to stiff covers. 2-hole punched. Ruled both sides. Recyclable. 1-Inch Ruled, Cursive Cover. Ruled the short way. 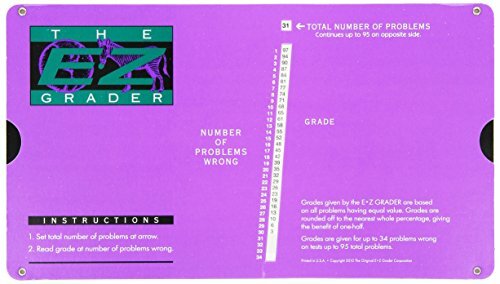 E-Z Grader Teal computes percentage scores up to 34 problems wrong on tests, quizzes or homework with up to 95 total problems. Can be used by educators to help save time and effort. Two simple steps. 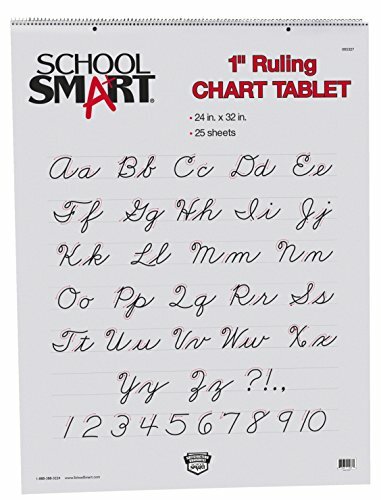 Ideal for grading quizzes, tests and homework. 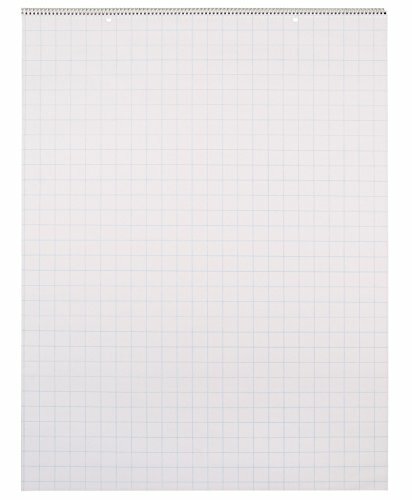 School Smart Graph Sheets feature white bond paper ruled into small squares of equal size, making drawing precise charts, graphics, or diagrams quick and easy. Double-sided graphs ensure ample room for practicing equations or shapes for geometry, algebra, and more. Includes 1/2 inch ruling on both sides. Accepts pen and ink media well, and provides clean erase for pencil marks. Paper with 15 lbs basis weight is sold as 500 sheets per ream. Align your lessons with some help from School Smart's chart tablet. Sturdy pad is spiral bound with 25 white sulphite sheets inside with 1-1/2 inch rule sides, 3/4 inch dotted lines, and 1/2 skip line. Slim cardboard backing is easy to mount on hard surfaces like walls or doors. 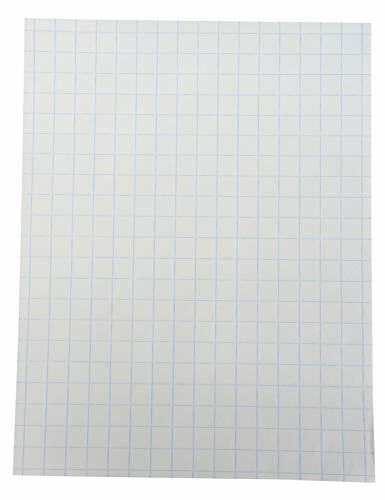 Lined paper helps keep kids' work neat, as well as evenly spaced and sized. Recommended to use this pad with washable markers, dry erase markers, or crayons to prevent potential bleed-through. Note that capital and lower case letter shown in image is only the cover; lined pages inside are all blank for full writing or design range. Take the guesswork out of grading- with this super-handy grader! 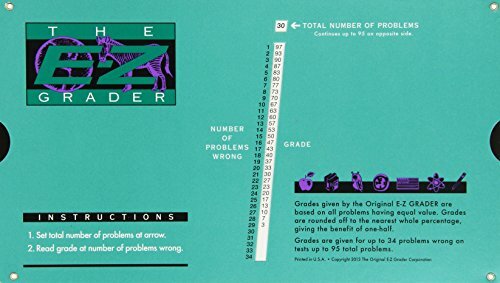 Simply set the total number of problems in the window at the top of the grader, find the number incorrect problems and read the grade- eliminating all calculating and any possibility of error. Rainbow Sentence Strips feature a 1-1/2 inch blue ruling, 3/4 inch dotted midline and 1 inch descender space. Colors include an assortment of blue, pink, canary, orange and green. Each paper strip measures 3 x 24 inches and has a 43 lb basis weight. Pack of 100. 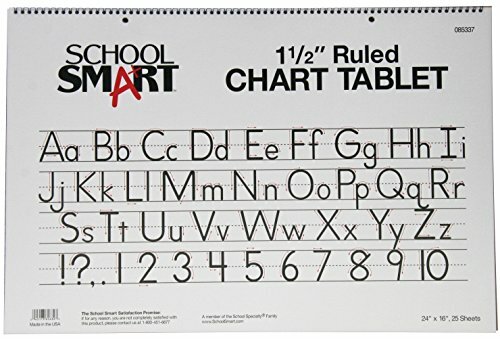 Align your lessons with some help from School Smart's table graph pad. 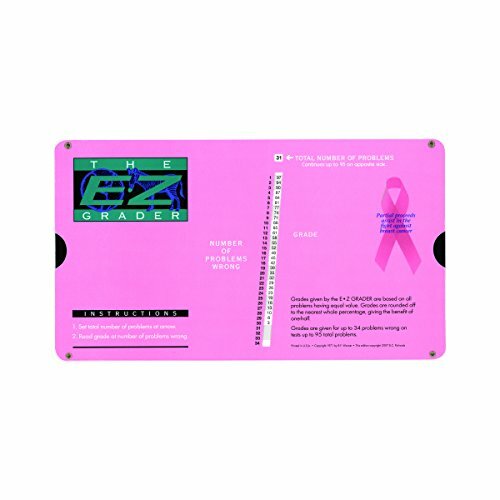 White paper (measuring 24 x 32 inches) is spiral bound to stiff front and back covers for ultimate protection. Grid rulings are 1 inch on each side, and cover both front and page of pages. Top of pad is 2-hole punched to allow for easy hanging on nails or doors. 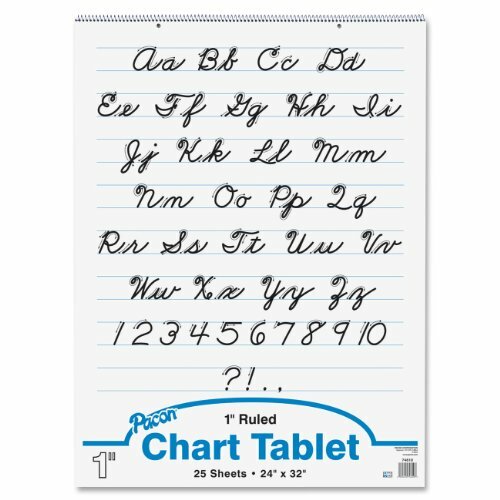 Paper is great for all ages, helping to practice penmanship and equal spacing of words and letters. 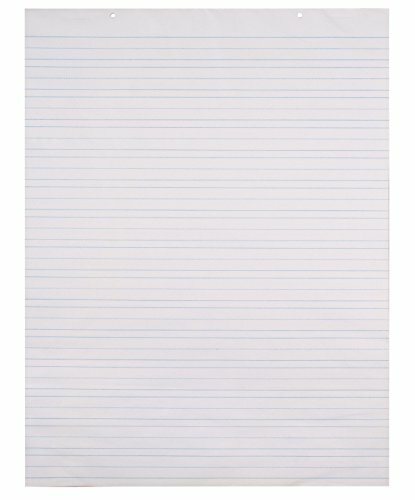 White 1-1/2 inch ruled skip-a-line bond paper is spiral bound to stiff covers and two-hole punched to allow for hanging. Measures 24 x 16 inches. Tablets contains 25 sheets of paper. 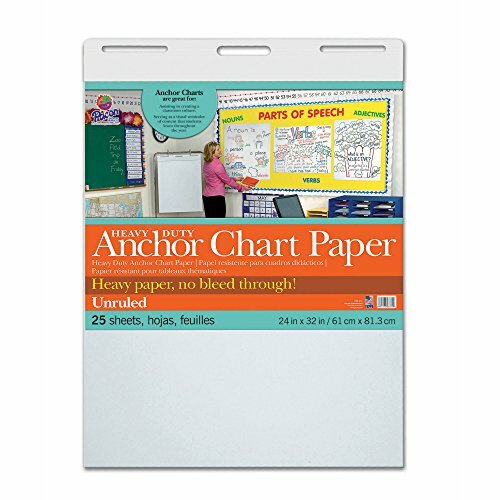 White 1 inch ruled bond paper is spiral bound to stiff covers and two-hole punched to allow for hanging. Measures 24 x 32 inches. 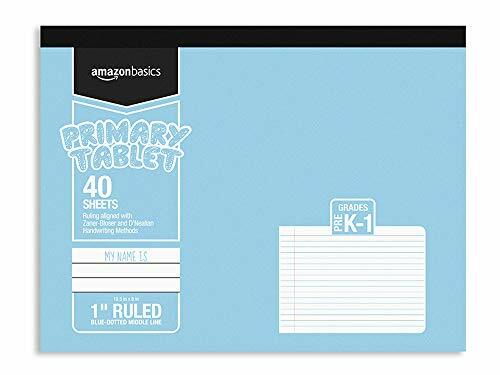 Tablet contains 25 sheets of paper. 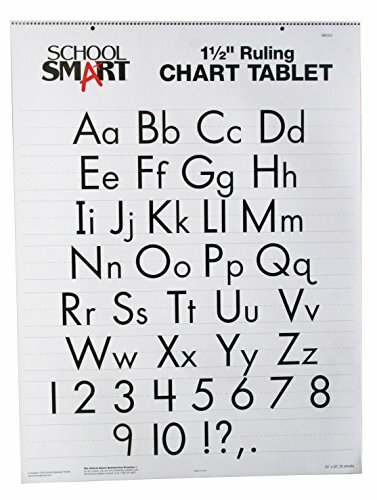 School Smart Chart Tablet offers classrooms a resource for note taking, presentations and more. Features one spiralbound tablet that is two-hole punched to allow for hanging. 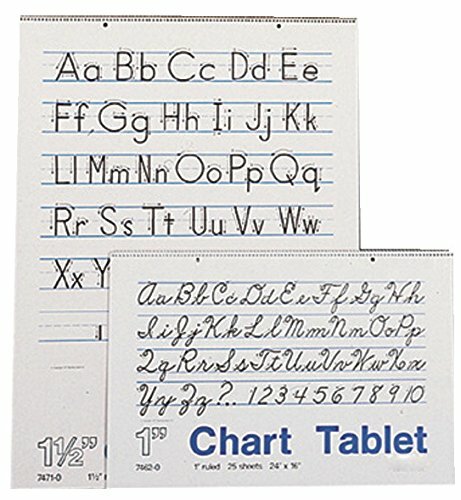 This tablet measures 24 x 16 inches with 1 inch ruled and 30 sheets. 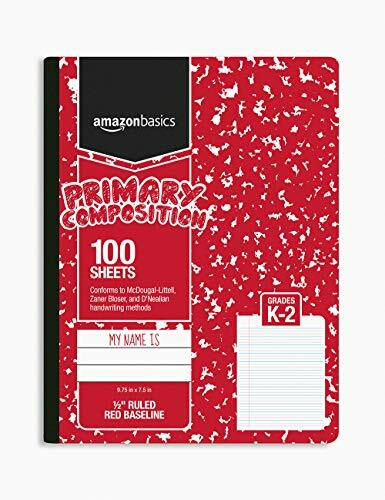 Brand: AmazonBasics | Manufacturer: Carvajal Educación S.A. de C.V.